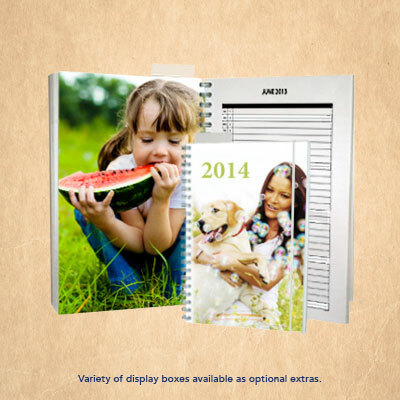 12 Month diaries with the capability to personalise each month with great photographs. This Wiro bound diary has clear Plypak covers for protection. The inside pages are printed on 90gsm Bond..